A true Scout, the OCTAVIA COMBI is prepared to perform the most demanding tasks. Whether in the city or the countryside, it is distinguished by the rugged protective plastic on its body. 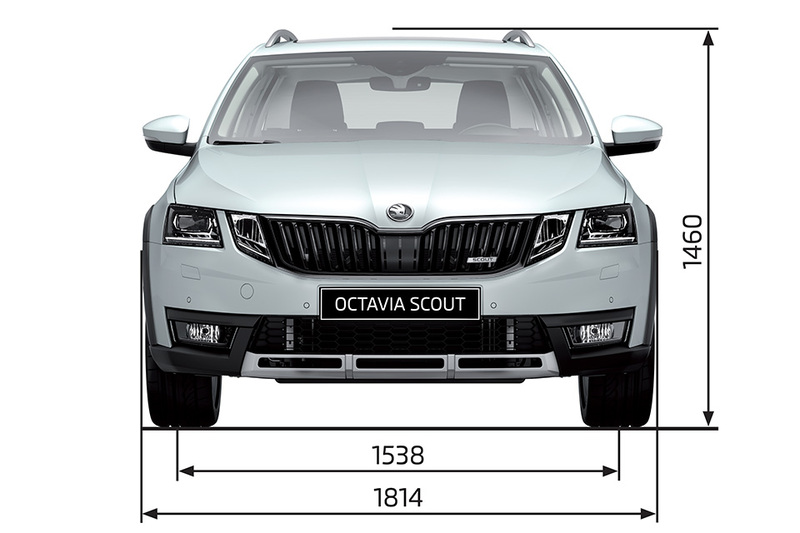 The outdoor OCTAVIA COMBI is clearly distinguishable by specific details of the Scout models such as: distinctively shaped front bumper with silver-coloured underbody protection and the Scout badge on the grille. Black side mouldings provide a surround for door sill and wheel arches and extend over both sides of the vehicle. The exterior mirror housings come in an aluminium design as standard. Aluminium-effect roof railings are also available as an option. A distinctive bumper gives the OCTAVIA SCOUT a unique look. Two reflectors are integrated into the right and left of the bumper. The lower black-clad bumper components include a silver-coloured underbody protection in the middle. The true Scouts earn badges for their skills and achievements. ŠKODA‘s new adventurer is no exception – a master in engineering, orienteering, and wilderness survival. Decorative door sill covers with Scout inscription not only protect your car, but also welcome you to the adventurous member of the OCTAVIA family. The OCTAVIA SCOUT interior was designed to be your every-day expedition base. The car is able to carry up to five people with ease. 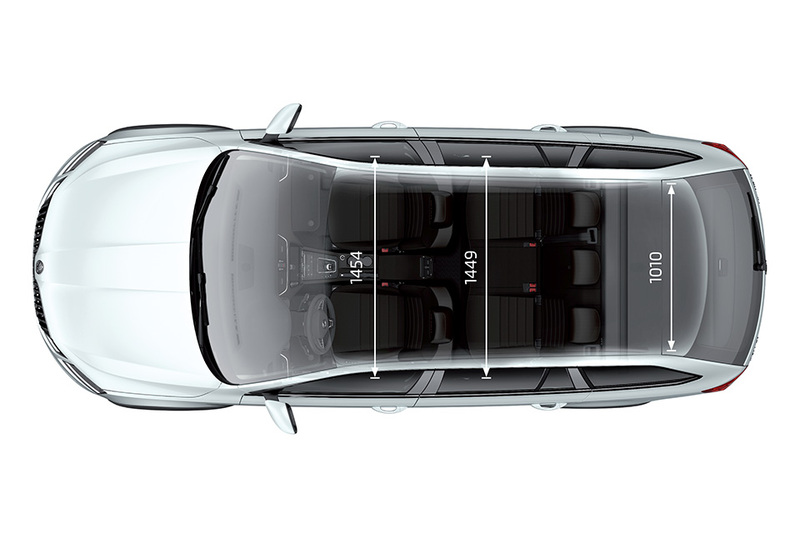 With an interior width of 1,449 mm and plenty of rear legroom, the car allows four adults to travel in comfort even on long tours. You can opt for attractive Alcantara seats – all with Scout logo. Steering wheel in the OCTAVIA SCOUT is a command centre at your hands: pick your favourite song, make the important phone call, browse through onboard computer and many more. Moreover, the steering wheel comes with specific Scout décor and badge. Are you familiar with positions of the sun and constellations, or which cardinal direction does the moss on tree trunk face? Well, there‘s still load of features the Columbus multimedia navigation with 9.2" touchscreen could come handy on your expeditions. You can adjust Climatronic climate control, manage your music, communicate via phone, or change various car setting. Ready for adventure beyond civilised routes? A choice of the Off-Road mode switches all assistance systems to a special off-road setting. Once engaged, the accelerator responds less sensitively, while the Hill Descent Control uses sensitive braking to maintain a constant speed descending steep slopes. With one less worry, you can concentrate on picking out the best path to follow in challenging terrain. 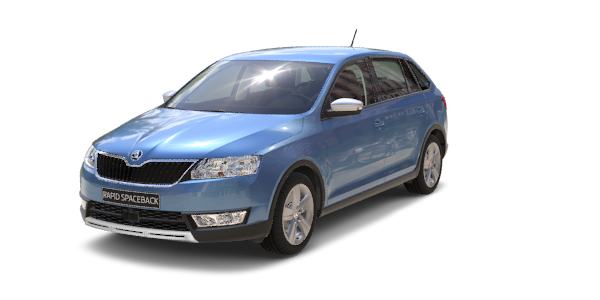 The ŠKODA OCTAVIA COMBI features range of modern powerful yet efficient petrol and diesel engines. Three of them are available for the OCTAVIA SCOUT: two diesel and one petrol engine. All drivetrains feature intelligent all-wheel drive, Start-Stop system and brake energy recovery as standard. 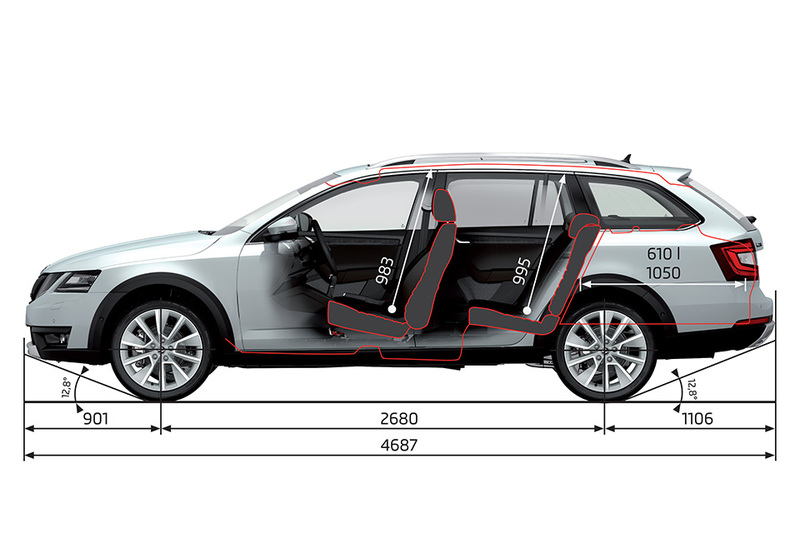 Much like the new OCTAVIA, the new OCTAVIA SCOUT features an impressive array of assists to make mobility safer and more comfortable. It also incorporates the latest ways to connect your smartphone to the car, including ŠKODA Connect and SmartLink+. Predictive Pedestrian Protection Front Assist works with a radar sensor integrated into the radiator grille, constantly monitoring the distance from the traffic ahead. Predictive Pedestrian Protection complements the Front Assist. At speeds between 10 and 60 km/h it performs an emergency stop if a pedestrian dangerously attempts to cross the path of the car. At speeds over 40 km/h, an additional collision warning follows. Adaptive Cruise Control The Adaptive Cruise Control (ACC) maintains a safe distance from the vehicle ahead at a selected speed, controlling the engine and actuating the brakes to automatically accelerate or decelerate as needed. The system combines a cruise control system with a radar-based distance controller. Blind Spot Detect Blind Spot Detect helps the driver to change lanes safely by registering any vehicles in the blind spot. 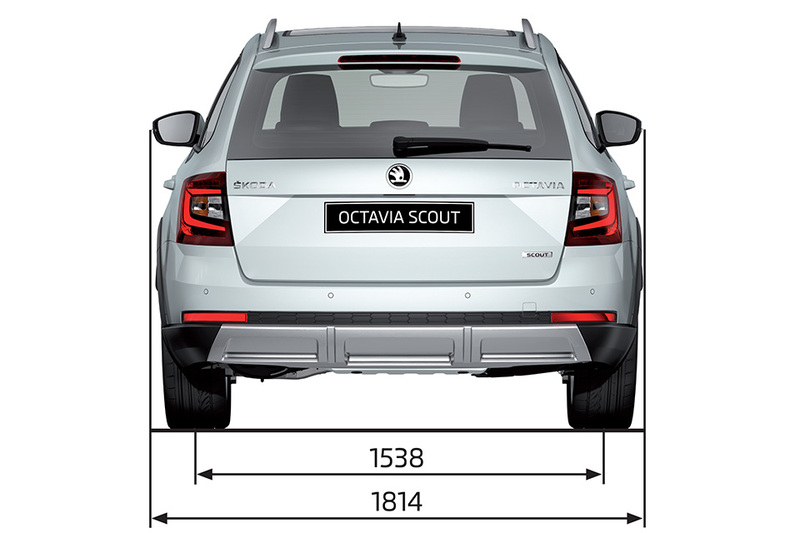 Two radar sensors located in the lower part of the rear bumper monitor the area beside and up to 20 metres behind the ŠKODA OCTAVIA SCOUT. When the system detects vehicles in the blind spot next to the car or approaching from behind, an LED symbol in the wing mirror lights up to alert the driver. If the driver indicates in the direction of the detected vehicle, the LED starts to flash, indicating the possible danger to the driver. The innovative lighting technology More..
Full LED headlights with AFS At the front of the ŠKODA OCTAVIA SCOUT, the two double headlights form a four-eyed face with optional full LED technology. The raked design and high-level precision are inspired by the motifs of Bohemian glass art. 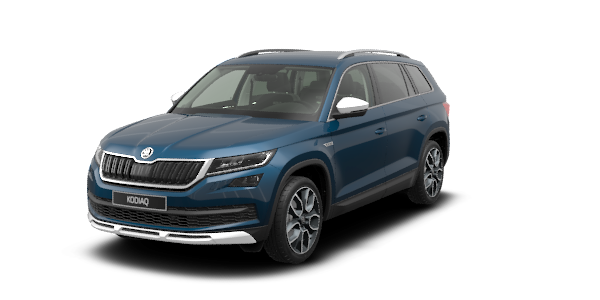 The shape brings to mind the ŠKODA KODIAQ, a large SUV, but with more of a horizontal alignment, with the outer headlights producing the dipped beam. The innovative LED technology, combining with the Adaptive Frontlight system, allows the beam to be adapted to the driving conditions. Trailer Assist Want to buy a new caravan, but reversing it is the stuff of nightmares? The new Trailer Assist takes control when you reverse slowly with a caravan. All you have to do is decide where to reverse to, when to start and when to stop. A cinch. ŠKODA Connect The ŠKODA Connect system makes the OCTAVIA SCOUT a fully interconnected car. 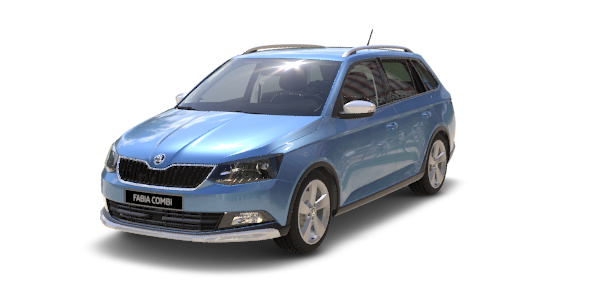 ŠKODA Connect consists of three service packages. The Infotainment Online package delivers completely new information and navigation services, while the Care Connect package lets you control certain vehicle functions with your smartphone (Remote Access) and provides a connection to the service partner of your choice (Proactive Service). The third service, an integral part of ŠKODA Connect, is Emergency Call. ŠKODA Scout and Outdoor derives are perfect match for contemporary adventurers. These models are aimed at drivers who put active lifestyle on the first place, but don‘t want to give up on day-to-day practicality.